If it’s Thursday, it must be time for Thai…. Today, I act more as personal assistant than chef. I handle a variety of tasks for my clients, do some light housekeeping and laundry, and set out to decide on dinner tonight. Thai food is a favorite of mine and I know both Mr. And Mrs. are fans also. My menu for dinner is a Marinated Cucumber Salad, Coconut Rice, and Green Curry Chicken. 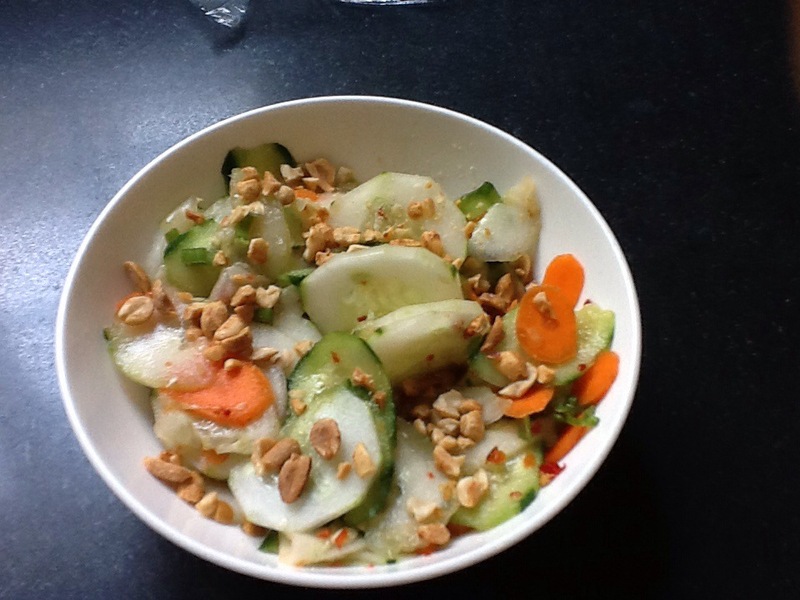 No mandoline in the house so I decide to use a box grater to thinly slice the cucumbers and carrots for the salad. Big mistake! 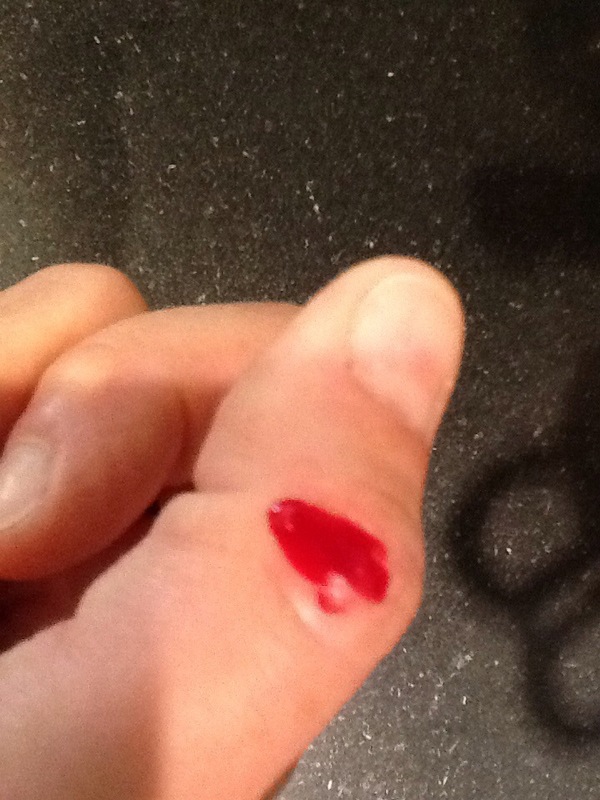 The slicer is not sturdy or sharp enough for the carrots and I get my first badge of “chef-dom”! Needless to say, I deign to hand slice the rest of my veggies! 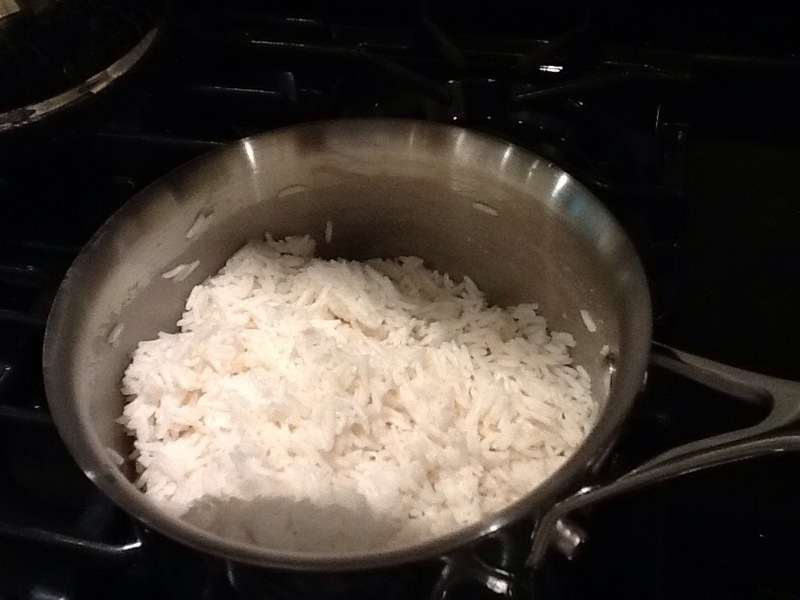 Coconut rice is fluffy and deliciously salty-sweet to counter balance the somewhat spicy Green Curry sauce. 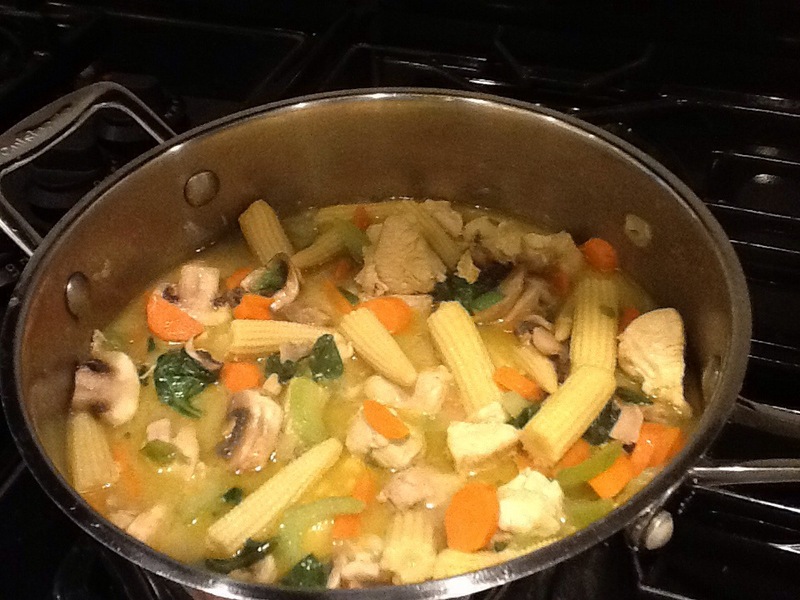 To the Green Curry I add celery, carrots, green onion, mushrooms, miniature corn, basil and of course chicken. Finish with light coconut milk. Enjoy! Next Next post: Thank God it’s Friday, gluten free!